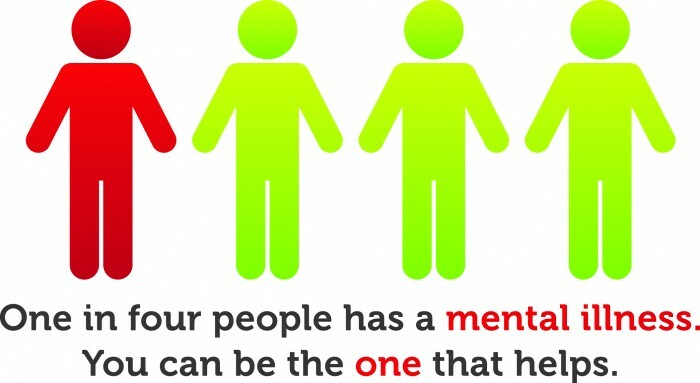 According to the National Alliance on Mental Illness (NAMI), nearly 25% of Americans are affected by a major mental illness such as depression, bipolar disorder, or schizophrenia. On Mental Health Awareness Day, we take the time to fight stigma, educate the public, share resources, and provide support. Here are just 5 ways to improve the lives of those struggling with mental illnesses in your community. If you see someone posting distressing content on Facebook or Twitter for example, it may a sign that this person needs help. Have a gut feeling that something isn’t right? Trust your instincts and reach out. Let them know they are not alone in their feelings and that it’s ok to ask for help. Sometimes it can be tough to initiate a conversation of this magnitude, but letting someone know you’re here if they need to talk can make a world of a difference. Have you ever been in a position where you didn’t know how to ask for help? It’s frustrating, right? Now imagine living with a mental illness that causes immense amounts of stress and frustration on a daily basis. Sometimes people don’t know how to ask for help, and that’s okay. That’s where YOU come in. Mental Health First Aid courses can be taken online to help bystanders identify, understand, and appropriately respond to signs of substance abuse, and disorders associated with the illness. If 14 million people in the U.S. live with a mental illness, why haven’t we made Mental Health First Aid as common as CPR? 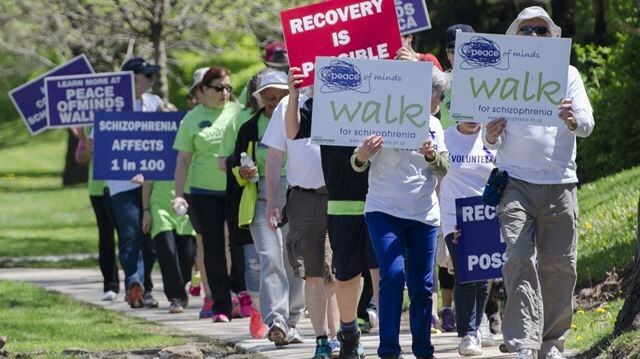 The journey to end stigma and help others begins with that quite literal first step. More often than not, sponsors are willing to donate money for a cause – which can provide outlets for funding on many levels. Changes in public policy are one of the most effective ways we can better the lives of Americans living with mental illnesses. Organizations like Mental Health America (MHA) encourage education and activism on current bills introduced in Congress. These issues include early identification, intervention, integrated treatment, protecting children with mental illnesses and recovery on multiple platforms. Click here to contact your senators today and make a difference for millions of Americans struggling with mental health issues, and support families in need. For those of us who face a mental illness may think we are struggling alone at times, when really, we are absolutely the farthest thing from it. Being diagnosed with a mental illness is not a death sentence. Mental illnesses can be treated a number of ways while we are equipped with the knowledge that one solution may not work for everybody. A holistic approach can be sought out through meditation, exercise, and a healthy diet. In addition, holistic “mind-body-spirit” practices can be found through acupuncture specialists, chiropractors, and hypnotists. Individual or talk therapy can also be an extremely helpful way to learn more about your diagnosis and can help patients cope with symptoms. If you’re looking to talk to group of ones own peers, support groups offer a space where people can come together to share their stories and experiences.